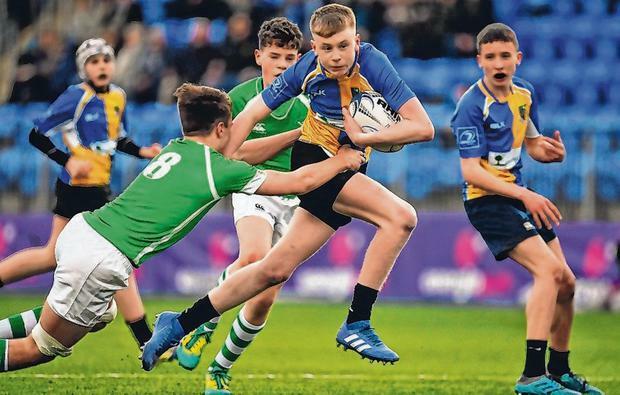 Roscommon CBS earned their place in the final for the first time when they produced a resolute defensive display to overcome Coláiste Iognáid at Creggs RFC and set up a showdown with 46-time winners Garbally College in the decider on March 13. With a deceptively strong breeze blowing into their faces in the first half, the CBS laid the foundations for their win, producing two magnificent goal-line stands to get to the break trailing only 3-0. 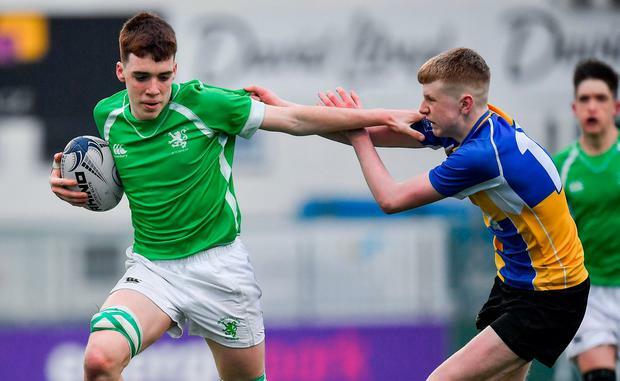 Coláiste Iognáid, who were chasing a fourth consecutive appearance in the final, set up another good attacking platform thanks to a superb take from Niall Hanahoe off the second-half restart but again they came away empty-handed. In contrast, when Roscommon CBS got their chance, they took it. 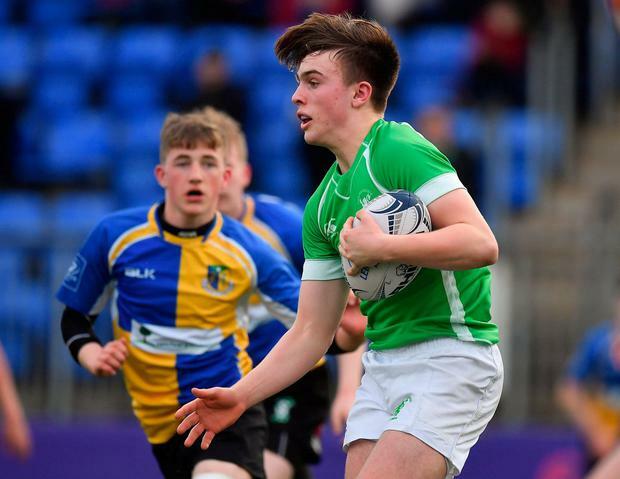 Their kicking game was now working well with the wind and after they turned over a Coláiste Iognáid defensive lineout, barnstorming runs by props Tom Farrell and Jack Tucker opened up the space for Mark Purcell to score a try, which he then converted. After Purcell added another penalty, Ireland U-18 international Cathal Forde dived over for a try for the Galway students to set up a tense last 10 minutes, but some more great defensive work from Roscommon CBS and two more penalties from Purcell wrapped up their historic win. Roscommon CBS - M Dunne; R O'Keeffe, C Glennon, M Purcell, C Walsh; T Lambe, A Hession; T Farrell, R McGuinness, J Tucker; L Maher, C Rohan; J McDonnell, J Martin, J Keegan. Coláiste Iognáid - C Gilroy; D Burke, R O'Flynn (D Hanrahan h-t), J Power, D Golden; C Forde, E Kenny; J Madden, T Gilanders (L Carton 41), G Lally; R O'Connor, N Murphy; D Leneghan (G Hill 49), L Smyth, N Hanahoe.